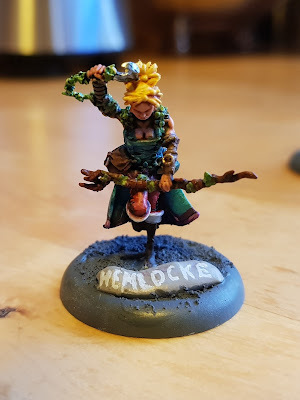 Lightning Shroud: Guild Ball: Hemlocke, painted! After painting Harry "The Hat" Hallahan, I moved on to Hemlocke. 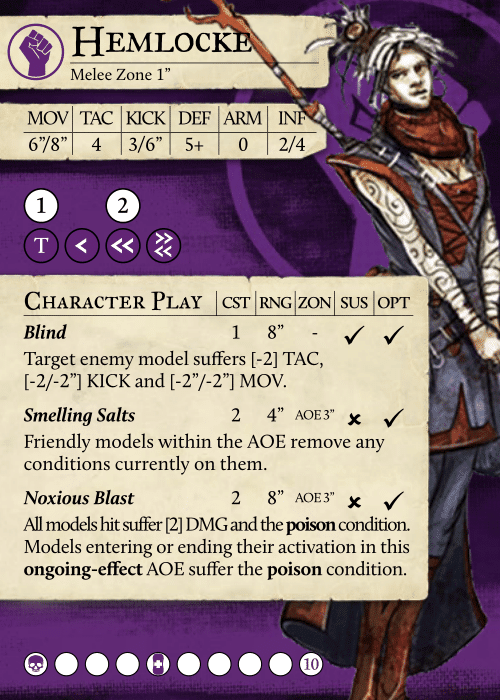 She has quite a list of plays, both defensive, by removing negative conditions, and offensive, by blinding players and dealing damage. I think she might be a good toolbox to add to my roster. 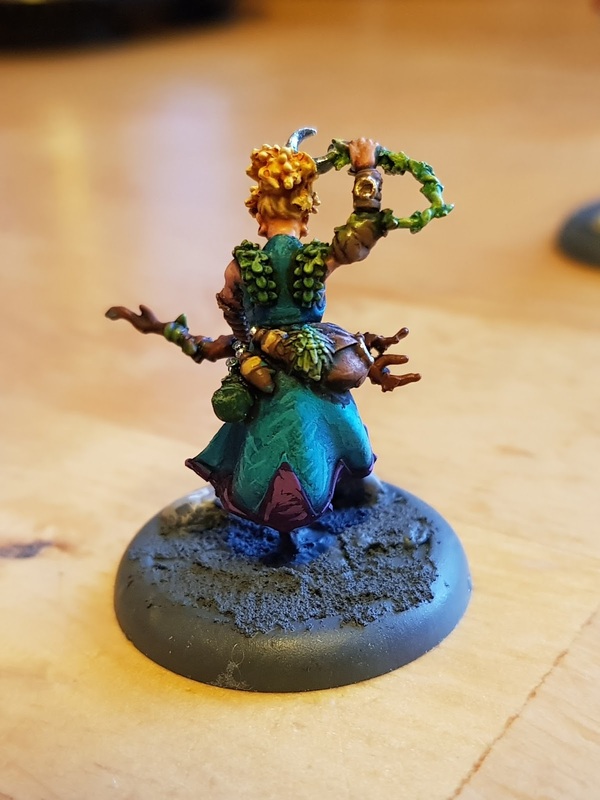 I am happy with the cape color. It's P3 Arcane Blue shaded with GW Drakenhof Nightshade. I made slightly irregular highlights by drawing small diagonal, crossing lines in Arcane Blue + White. 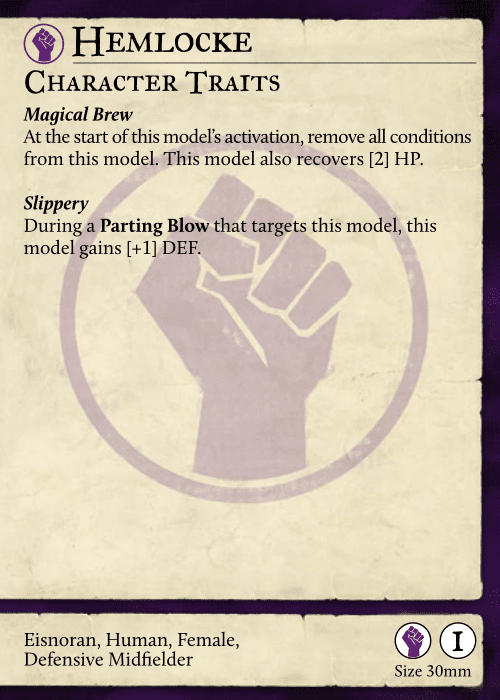 The hem is P3 Beate Purple shaded with GW Druchii Violet, and highlight is Purple + Pink. The plants are P3 Wurm Green with GW Shade and highlights picked out with Wurm Green + White. For contrast with all the cold colors, I have her red pants and bright yellow hair. As you can see above, each color is pretty straightforward! Base color, GW magic, pick out the highlights.